« One of the MANY Reasons I Love Being a Blogger ~ The Absolutely Fantastic People I Meet! 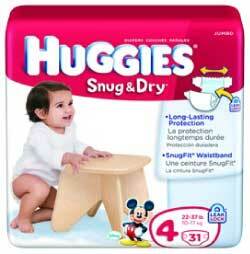 Thankfully, Huggies has created the Snug & Dry Diapers with Leak Lock Protection to satisfy both mommy and baby. Keep reading to learn much more! I reviewed the Size 4 Snug & Dry Diapers with Leak Lock Protection from Huggies, which retail for $33.50 for a 140-pack at Wal-Mart. Huggies Snug & Dry Diapers offer long-lasting protection you can count on, so you can focus on all your little one’s daily adventures. Plus, they also come with the trusted leakage protection of the Leak Lock System—which is now even more absorbent. Riley is well on her way down the potty-training road (thank goodness!) and doesn't wear diapers quite like she used to, but we still rely heavily on them during the night. Once she goes to sleep, she will often not wake up before peeing in her diaper. Since I don't want to start out every morning by changing her bedding and giving her a bath, leak protection is extremely important to me! The new Huggies Snug & Dry Diapers have really seemed to work well for Riley. They fit great, thanks to the SnugFit Waistband and she loves the Disney characters emblazoned on the outside. Most importantly, we haven't had a single leak yet and so every one of my mornings has been extra bright and cheerful! If you have a little one still in diapers, then definitely give the new Huggies Snug & Dry Diapers a try and see if they don't provide excellent leak protection for your child too, at an affordable price! Disclosure: I received the Size 4 Snug & Dry Diapers with Leak Lock Protection from Huggies in order to facilitate my review. No other compensation was received. This product review is based on my own personal experiences with this item and is completely honest and objective.